Edinburgh Festival, where in 2001 she presented her own solo show "It's Not That Important". As a support act to GRAHAM NORTON on his recent UK tour, Jo was a huge hit and received fantastic reviews from the press. "Brilliant.very endearing.feisty and garrulous" - The Guardian. "I never knew I could like a woman so much - I'm ashamed to say she did make me wet myself" - Graham Norton. 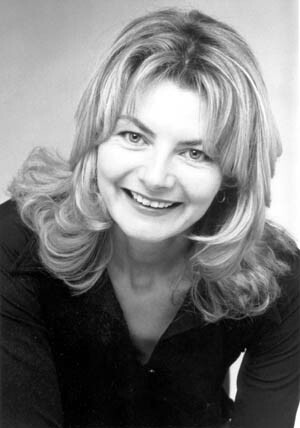 Jo is also a writer and actress with many credentials, including: FAMILY AFFAIRS (Ch5), DAYS LIKE THESE (ITV), THE TREATMENT (Radio 5), STAND-UP ON TWO (Radio 2), and WE'RE ON OUR WAY TO WEMBLEY (LWT). Jo is a writer on the BAFTA winning 'So Graham Norton'.